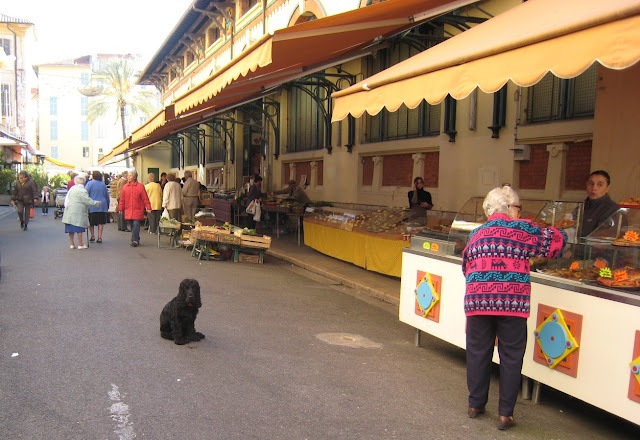 This black cocker spaniel is often sitting here outside the main market in Menton and near one of the outside stalls whilst his owner works. He looks resigned - 'Okay, I'm here for the morning and I'd better make the best of it.' Dogs are great, aren't they? So long as they are with us, they are happy. 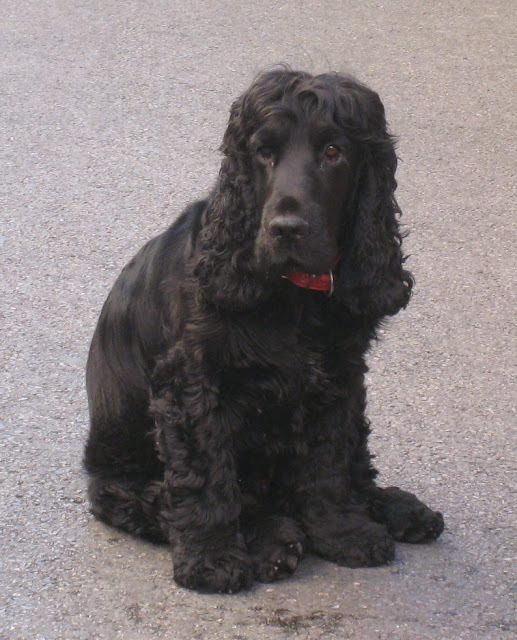 Lady Jicky, I agree - he does look a sad dog - but then spaniels are pretty good at that! Thanks so much for all your visits. Adorable. Do you ever see any Pekingese?